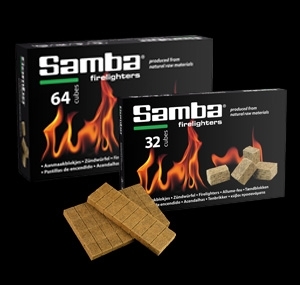 This firelighter is produced from soft board, soaked into a paraffin wax. The firelighter can also be produced with vegetable waxes. 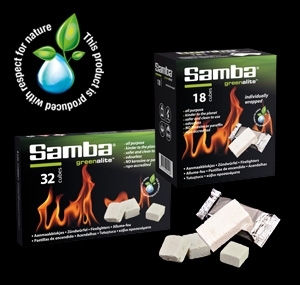 This firelighter is produced from soft board, soaked into a paraffin wax. Individually wrapped white firelighters. 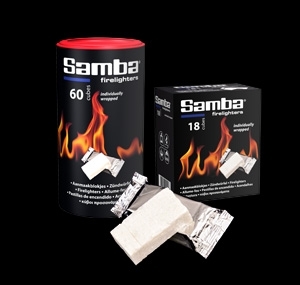 As you do not unwrap the firelighter and light the packaging, it is a clean and a handy product. Our Greenalite range is produced from Methyl Ester (M.E. 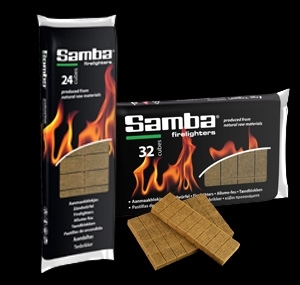 ), which is manufactured from palm kernel and coconut oil and is the safest ever firelighter. 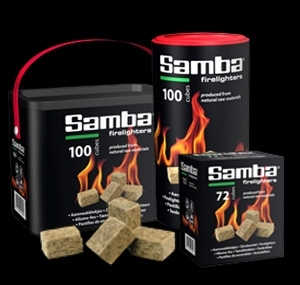 We provide a wide range of firelighter products suitable for lighting your fire! In order to produce the perfect firelighter, the focus within Dutch Flame is on quality. To make sure our ecological firelighter is fair we seek out materials from responsible sources, both environmentally and socially. Products of high quality, with the right ingredients. Dutch Flame has existed for forty years. 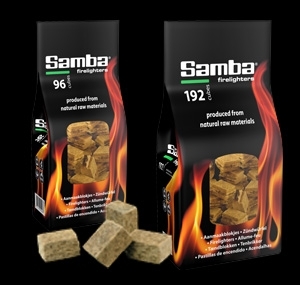 In this long period, their firelighters have found their way to customers all over the world. It is a company founded on their principal values, such as delivering high quality products and keeping commitments.These trusted values keep the fire of Dutch Flame burning. With an innovative young team, the company has room to grow.